Key Pieces: Try pairing the cutout quilted gilet with the tricolor, Gauss-hooded windbreaker for a functional yet stylish look. 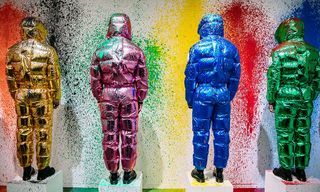 Editor’s Notes: In a sequel to last year’s collaborative collection which featured the infamous inflatable bubble jacket worn by Skepta, London-based designer Craig Green has partnered up with Moncler on another premium collection of outerwear pieces. Featuring gilets, jackets, and windbreakers, the drop covers all your transitional wardrobe needs. 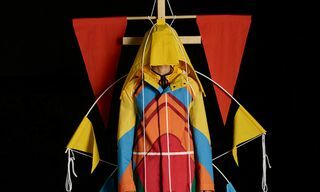 While much of the collection maintains a monochromatic color scheme, it does include a few splashes of color, notably on the navy/red/white windbreaker and a selection of jackets which utilize 3M light-reflective material. 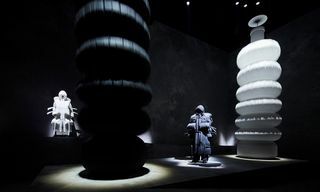 Other key features include the minimalistic update to Moncler’s applique logo as well as the implementation of adjustable hoods and elasticated cuffs. 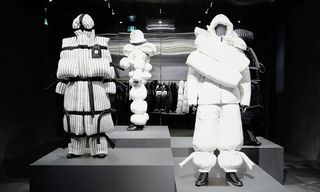 For those looking to cop, the Moncler x Craig collection is available now from online retailer END. 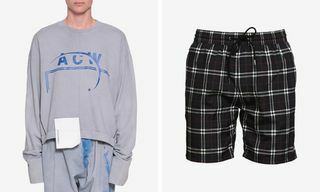 Clothing with prices starting at $750. In other news, Burberry has become the latest brand to put shopping bags on the runway.